Over the course of this week thousands upon thousands of fans have flocked to the Royal Albert Hall to wave goodbye to Carlos Acosta as he retires from ballet. 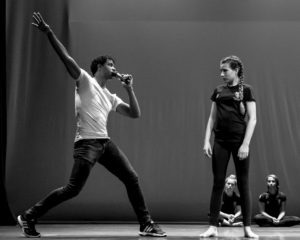 Carlos Acosta: The Classical Farewell has filled up London’s iconic venue with fans treating Carlos like a rockstar, whooping and shrieking as he leaped and spun across the stage, reminding us with each step why he is at the top of the game. The repertoire includes classical excerpts from well-known ballets and the full orchestra and choir only add to the epic feeling. If you missed it, you missed out – but watch this space for more Carlos news. 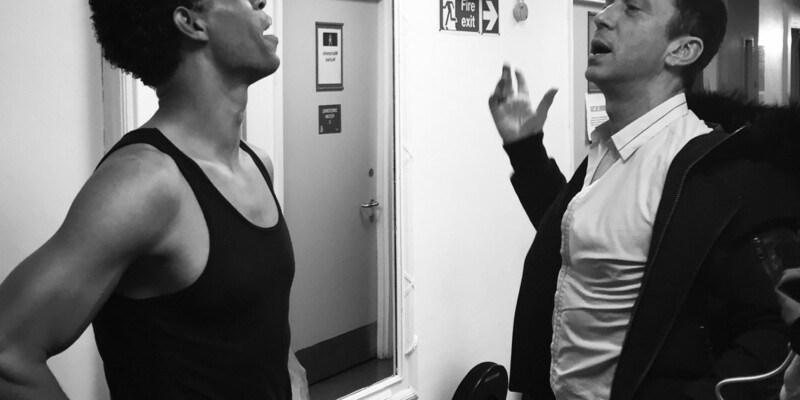 Carlos Acosta’s A Classical Farwell has just finished its UK tour: A two part show with over ten different performances beautifully executed by Carlos and his team of young Cuban ballet talent. The show visited Royal Concert Hall Nottingham, Birmingham Hippodrome, Mayflower Southampton, and The Lowry Salford before the cast and crew flew back to Havana. 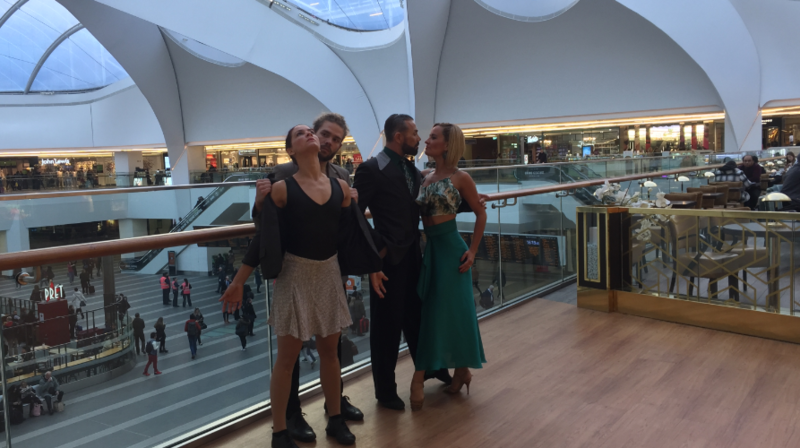 The tour was incredibly successful with Carlos astounding audiences with his athletic and graceful leaps as well as pleasing their eyes with his body and charisma, further the Manchester Camerata orchestra provided fantastic live music, and the Cuban ballet dancers brought energy, emotion, and beauty to the UK stages. Pictured above are some of the dancers with producer Sandra. 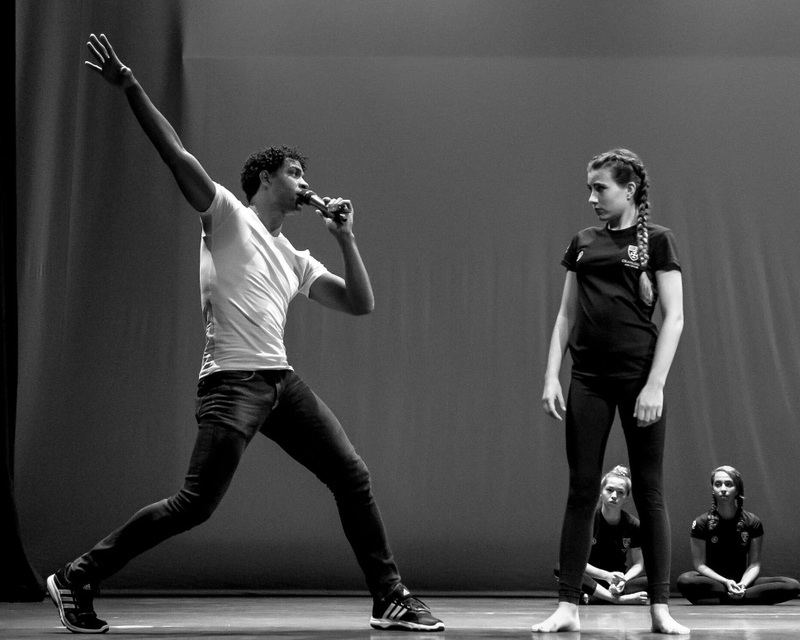 Carlos Acosta and Friends visited Abu Dhabi where the show was performed twice at the Emirates Palace as part of Abu Dhabi Festival 2016. In the luscious auditorium the show was received phenomenally well by an audience that included dance fans, VIP’s, and even the Royal Family. 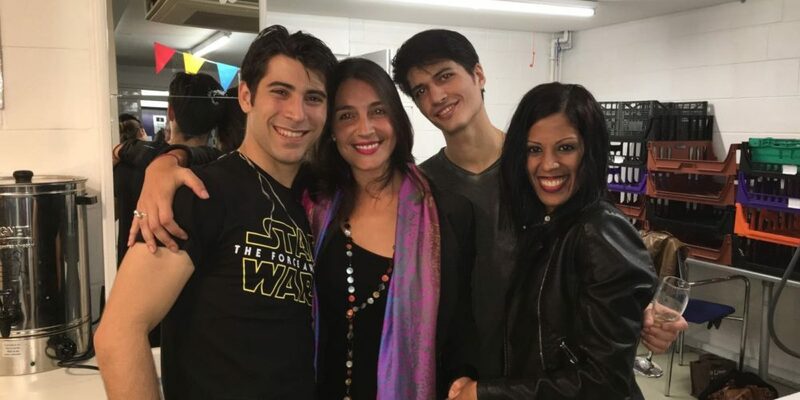 Pictured above are producer Sandra, executive producer Suzanne, Lottie the ballet director, Gabriela one of the beautiful dancers from the show, and the cellist Rowena. 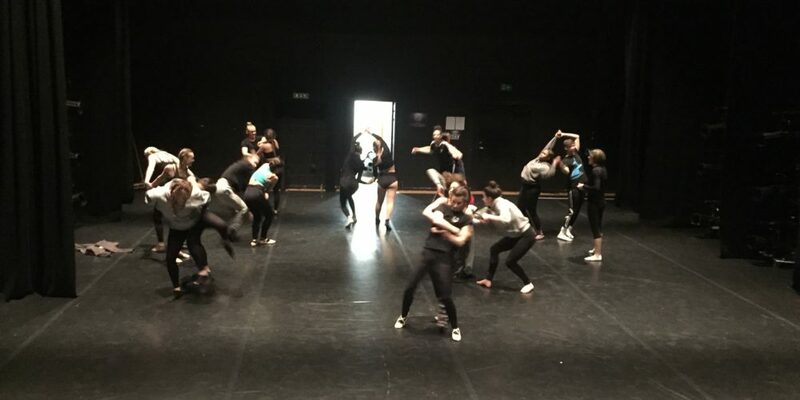 After the performances Carlos stayed in Abu Dhabi for a workshop, which is pictured below. 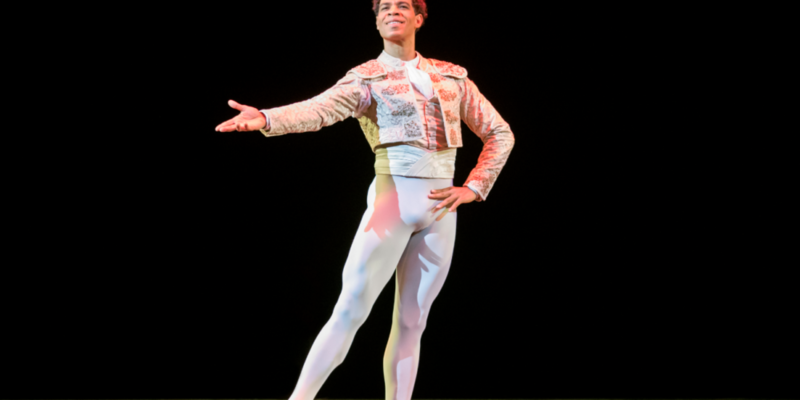 Sadler’s Wells was just down the road at the 2300 seat London Coliseum last week for six performances of Carlos Acosta’s A Classical Selection. The show consisted of twelve pieces danced by Carlos and eight other dancers from The Royal Ballet. Over the course of last week Carlos’ leaps and turns were accompanied by wild eruptions of applause from a jam packed Coliseum audience of an array of fans including Strictly Come Dancing’s Bruno Tonioli. Bruno enjoyed the show so much he couldn’t resist but to go backstage after to get a selfie in with Carlos. And Carlos’ A Classical Selection wasn’t just getting top marks from the judges, read the stellar reviews from critics here and here.